Washington Capitals forward Alexander Ovechkin has set a new record number of goals for the club, leapfrogging previous top scorer Peter Bondra. The Russian hockey star scored the 473rd goal of his career in the second period of the game against Montreal Canadiens on April 2, in so doing becoming the best sniper in the history of the Washington Capitals. It took Ovechkin just 756 games to reach this total, while Bondra needed 961. In the third period Ovechkin managed to notch another goal against Montreal, helping the Capitals to a 5-4 triumph. After the game, Ovechkin took the lucky puck with him. "Again went down in history and became the first of the number of goals in the history of Washington. 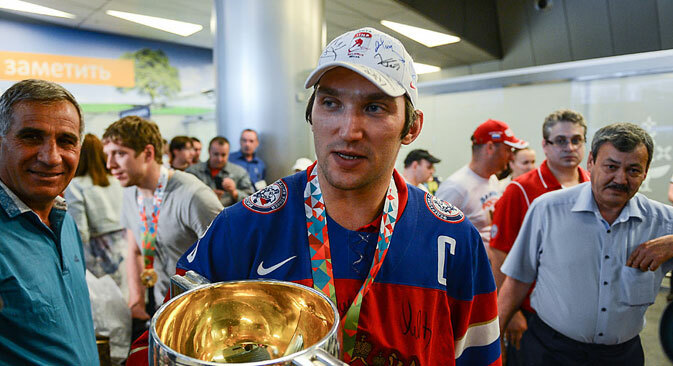 Thanks a lot to my club mates, love you," Ovechkin wrote on his Instagram account. Ovechkin is currently leading scorer in the current NHL season with 52 goals.